We always want what we can’t have, so when Summer Fridays’ Instagram superstar, Kim Kardashian West-approved Jet Lag Mask reached our eager ears, we couldn’t wait to usher it into our Hall of Fame. Crafted from green, vegan ingredients, this unbelievable hydrating mask transforms skin, whether you’re a time zone-hopping jetsetter or just having a night in. Thanks to a nourishing combination of vitamins, ceramides, antioxidants and gently exfoliating extracts, this soothing formula leaves your complexion uber-dewy, radiant and ready for anything. In the UK exclusively on Cult Beauty, this is guaranteed to give your skin that Friday feeling – TGISF! Fancy starting the weekend early? 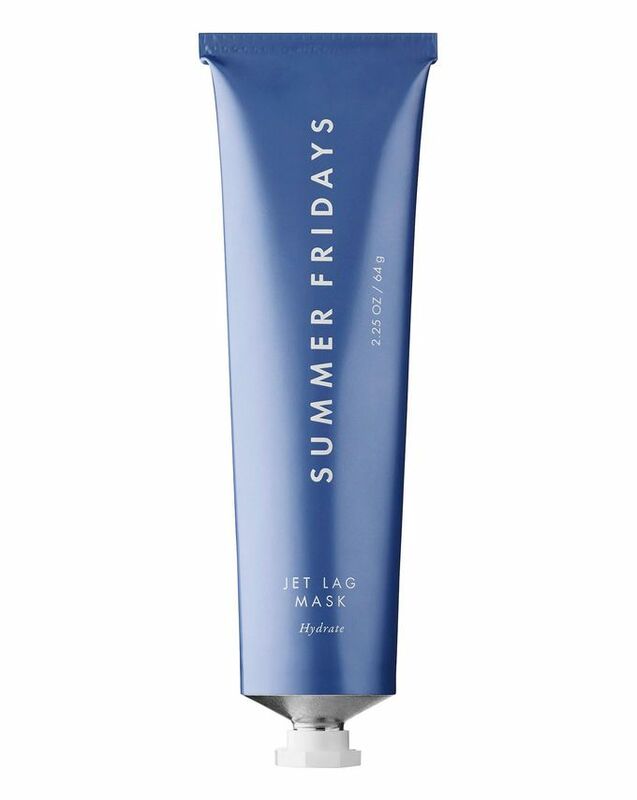 Give your skin the Friday feeling (whether or not you’ve just switched time zones) with Summer Fridays’ Jet Lag Mask. 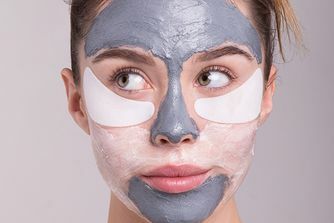 Already an Instagram sensation, the beauty world is going crazy for this heroic hydrating mask, not least because it’s received rave reviews from the likes of Kim Kardashian West and Jessica Alba. After trying every beauty product going, Summer Fridays’ influencer founders set about dreaming up their own hero product and, together with a team of industry experts, they whipped up this miracle mask. Perfect for stressed-out skin and ideal for post-plane complexions, the vegan formula drenches skin with a nourishing mix of vitamins, ceramides, antioxidants and gently exfoliating extracts, which work together to soothe and hydrate skin, plumping away the look of fine lines and wrinkles to leave things uber-dewy. Chestnut extract activates skin’s natural exfoliation process, polishing away dullness; vitamin C provides powerful antioxidant protection and behaves like a moisture magnet; niacinamide reduces the appearance of pores and imperfections and green tea extract reduces puffiness and inflammation while guarding against free radicals. The brand’s fabulous founders also love to use the mask as a hydrating primer or an overnight treatment for more intensive effects. Маска хорошо увлажняет, придает сияние коже. Обычно наношу её после скраба на 10 минут, потом смываю и наношу дополнительное увлажняющее средство. Помогает справляться с периодичными шелушениями и сухостью. Единственный минус, стоимость и расход продукта. ***The mask moisturizes and gives radiance to the skin. I usually apply it after exfoliating and leave it on for 10 minutes, then wash off and apply additional moisturizer. Helps to cope with occasional peeling and dryness. The only negative is the cost and consumption of the product. I bought this product as soon as it came out on Cult Beauty. I have followed Summer Fridays since Marianna announced they were releasing this. The hype is real. After a few days of using as an overnight mask, I found my skin to be plumpy and hydrated overnight. It’s also a really good primer and eye cream. Massive fan of this range. I tried it one day when I was too tired to do a full night routine( I'm 37), so washed my face and put it as an overnight mask. And I was impressed, I had like couple of small pimples which were pretty much gone, no under eye puffiness ( I have chronic sinusitis) and my skin felt good and looked good. So I definitely recommend it, for those lazy days or as a quick fix. I have oily skin that sometimes also feels dry as i work in an air conditioned office all day. I have started using this as my night time moisturiser and i love it! I wake up in the morning and my skin looks plump and fresh, not oily which is how it usually looks! I have also noticed i have got a lot less blemishes since i have started using this product. I love it. I have tried to use it in every possible way, but my favourite one is to mix it with my foundation. Then I glow and there are no wrinkles showing up whatsoever. Love it! Tried it several times (as rinse off mask, as overnight mask, on longhaul flights). I don‘t see any results, be it glow wise or moisture wise. I have nothing negative to report except maybe for the mint taste, but that’s personal preference. To me this product is very average and honestly not worth the money. I have better moisturisers and I much prefer the Josh Rosebrook Vital Balm Cream for my flights. I received this in the recent Goody Bag and tested it on 4 long-haul intercontinental flights to see if it would work in the dry, dehydrating cabin. And it worked wonders! Usually I roll off the plane looking like I just spent a week in the Sahara, but thanks to Summer Fridays Jet Lag Mask, I looked like I'd travelled first class in a hydration chamber. Applied it everywhere - to my face, lips, chest, hands and cuticles. The only issue that I see its the smell of mint, for the rest its perfect! This mask is really good, I use it at night at the end of routine and wake up with really soft skin, also used as moisturiser and it was perfect love it. I bought this product because of all the hype around it - how good it is, how nicely it moistourizes the skin and makes it plump... it doesn't work for me like that. My skin honestly feels just as dry after the application as it was before. It really doesn't do anything for me, even if I leave it on overnight. It feels lovely on the skin immediately after application, but it really quickly absorbs and leaves the skin feeling dry. I decided I'm going to use it up, just so that I don't waste all this money for nothing, so I'm currently using it under other moistourisers that I know, work for me. So refreshing for my oily skin! I applied it as overnight mask and I absolutely love it! It works on my combination skin, and will definitely bring it along when I travel. I have always been incredibly lucky with my skin, until exam stress kicked in and I found myself reaching for the high coverage concealer, due to severe breakouts, that previously was not part of my every day regime. Since then I am constantly experimenting with skincare products in attempt to get my glowy, clear skin back. I discovered this product on Instagram, some incredible before and after pictures were posted and people sung their praises of this product. So, I thought let's see if this hyped up mask actually works. It does, for me at least. It penetrates into my skin instantly and for the morning my skin looks healthy, glowy and most importantly hydrated. I have been utilizing it every evening as an overnight treatment mask for almost a month and now I can tell the difference, my skin is softer than it was before, my dry patches are non-existent, and I have fewer and fewer breakouts. I absolutely adore it! PS.The brand's Overtime mask is lovely as well! Simply amazing! My skin was extremely dry the past few weeks to the point that my face would look horrible with any foundation and nothing seemed to help until I’ve tried this mask. After only 2 uses (as my night moisturiser) my skin got back to normal (I have combination skin). I would have given this extraordinary mask 5 stars if it hadn't consisted of the mint oils. They can be beneficial but can sensitize our skin so I try to avoid such sensitizing essential oils in my skincare routine. As soon as I apply the mask I get a tingly feeling that lasts only for a few seconds so I'm not too annoyed about that. I basically use it as my night moisturizer because I don't find it necessary to apply a thick layer of it to reap its benefits. It really does absorb into my skin without any white cast. It gives the perfect amount of glow without making me look too shiny so it's perfect to use during the day too. The most important thing is that it contains a lot of beneficial ingredients for our skin so you will have long-term benefits too. A nice hydrating leave-on mask, sometimes I use it overnight. Nothing special although. Perfect for any skin type, this mask leaves your skin hydrated and soft. I was drawn in by influencers to this product, but wanted to test it for myself. It's actually a lot thinner and more cooling than I expected, but I found I really liked it. I wouldn't use it myself without already applying a moisturiser first, but it works well as a barrier at night to rehydrate the skin. I wouldn't suggest using this in the morning though, as it would be too greasy under makeup... but it was never meant for that anyway. Use as directed as you'll find it will lock down skin hydration for the night. I’ve never ever left any review before but this product is magic in a tube. Saved my skin and my life. I love it. After reading great reviews I took the plunge and bought this item, however it turns out it is just another over-hyped product promoted by celebrities and insta influencers. The product burnt my skin (I don't have sensitive skin) and made it drier than ever before. It is actually unbearable to use and have used better £4 face masks from Aldi. Can't say enough good things about this mask. It is absolutely the best thing ever. I use it as a mask/moisturizer/ primer. I have sensitive and acne prone skin and this mask work amazingly with it. I try not to use it so often and only use it when I really need to - like special occasions or when my skin is really dehydrated. Another way to use it is by using it as an undereye cream/mask. It works wonders! Used this on my skin and the day after my colleague remarked on how dewy and plump my skin looked. The only time that has EVER happened. I've been using it under my eyes at night for extra moisture as well. Love it. I don't have sensitive skin and I rarely break out but this mask made my face all red. I wouldn't recommend it as it sensitised my skin soo much. I have used this mask a few times as a pick-me-up to the area around my eyes, especially when I feel the skin around my eyes feel a bit tight. I am quite pleased with this mask. It leaves my skin feeling smooth and provides hydration to my eye area. It it a bit pricey but a little really does go a long way. I will definitely repurchase. I wish I had purchased this product sooner as it's become essential in my skincare routine. I generally use this product in my night routine before my moisturiser and have found that it leaves my combination skin feeling soft and supple. Additionally, when I have used it as an 'eye primer' before using eye cream, the Jet Lag mask reduces the bags under my eyes. Despite still having product in my tube, I already can't wait to buy another one. I do wish the Jet Lag mask came in travel size though. I bought this product and was very excited to see the results, despite not usually spending so much on masks. I really do not have sensitive skin, and can tolerate pretty intense acids, but this ruined my skin! It burned after 2 minutes, and I left it on for a full 10 minutes to see if the burning would subside, only to see a very red, blotchy, burnt face which took a good couple of hours to subside. Would not recommend to anyone with mildly sensitive skin. That being said, Cult Beauty customer service were amazing and so helpful!! So disappointed. I leave it overnight, but my skin is so dry with no glow in the morning so I guess it’s not really good on my skin type. Will not recommend this. Not worth the hype from celebrities. Been wanting to try this but since it's difficult to find this internationally, so happy that Cult Beauty carries Summer Fridays. I've been switching around moisturizers but other than Korres moisturizers, my skin doesn't seem to agree with most brands. I have acne-prone combination skin, sometimes I get dry patches from eczema and psoriasis. Ever since I started using this as a moisturizer, together with Skyn Iceland's Nordic Face Peel, I do notice that my breakouts have lessened, my acne scarrings are starting to lighten up and I no longer have dry patches on my skin! I'm not sure if its entirely Jet Lag Mask or the Nordic Skin Peels, but I'm pretty sure both products are working well together. Been using both for a month and I have repurchased the Jet Lag Mask! So happy with this purchase! A best among skin care! I recommend it to 200%. Perfect mask for dry skin. This is an OK mask for dry skin but nothing special. I don’t really feel or see a difference after using it. Since I have it I will use it up but I will not buy it again. I love this mask, I have dry, sensitive skin and this mask works wonders for it. I put it on as an overnight mask and I wake up with hydrated, glowy skin. It even seems to make my pores smoother which is amazing! I would definitely recommend to anyone who needs a hydration boost and is definitely a must for the colder months. I have acne prone dry skin which is an awful mix and this mask is definitely doing some real good for me. I use it as a night mask and since I started my skin is finally hydrated and even my stubborn dry patch is gone. Also I noticed improved skin tone. Also huge thumbs up for not breaking me out. So overhyped... not worth the money ... use it as overnight mask.. in the morning my skin felt so dry. even when I use only my moisturizer my skin feels much better. Also as an undereye mask.. dry eyes... it took me a week using other products to get my eyes back to normal. Last i tried it just as an moisturizer... also dries my skin, my makeup looks horrible. I used it on my clients also... but the makeup looks not as nice as normal and also my clients getting dry skin... horrible never gonna buy it again. I couldn't wait till the other mask was online but I'm not gonna try this one anymore. Too bad my expectations where high.. The hype is real! A gorgeous hydrating mask that works wonders for dry / dehydrated skin! I love it as an overnight mask and as an under eyes mask! Doesn’t really work well as a primer or a moisturiser so it’s not as versatile as it says, but as a mask it’s gorgeous! 100% recommended! After hearing so much about this mask for so long the minute it came on sale I had to get it. I couldn’t have made this order any quicker. And it is so worth it. This along with the indie Lee Cq10 toner has really helped keep my skin hydrated. And I’m noticing the difference for it. Defiantly worth buying. I like that this isn’t an absolute fortune either. I was so excited to try out this mask after hearing only good things about it and the fact that it should be a life saver. Unfortunately it did not at all live up to the hype. I’ve tried it a couple of times now, to give it a chance. But I’m not going to put this on my skin again. Ever. I have combination and dehydrated skin, so this should be perfect for me. But it irritates my skin (and I’m not even sensitive) and leaves me skin red and oily. It’s like it leaves too much oil which then makes it difficult to apply makeup. Also it said that it can be used around the eyes, but when I do my eyes start to water immediately - so you can’t. I would only buy this mask if you gave extremely dry skin and need all the oil and grease in the world. Otherwise no. From the reviews I read and watched before I bought this mask, I expected it to be rich, slick and leave me glowy and shiny. It is rich but relatively dry and very thick. I use it at night after serum or mix it with a serum to help it with spreadability. I had a stubborn dry patch on my nose that would not go away no matter what I used, peelings, scrubs, moisturisers, cream, oils, nothing worked. But this Jet Lag mask healed this dryness for me! So, if you have a hard time spreading it onto your skin, just mix it with something thinner(serum, moisturiser). It is a really good product with a very nice ingredient list and I truly believe it will last me a long time with an everyday use, sometimes even twice a day. I am only giving it 4 stars as I still believe it is quite expensive and I do not think it will be a life-changing product for many people. I also like cutting open my tubes when finishing up the products inside and metal packaging makes it a bit harder but this is purely a personal preference. Bought this just before I went on a long haul flight as my skin normally freaks out when I'm on a plane, HOWEVER, after applying this mask after around an hour in the air my skin looked and felt incredible. I had no badly behaved skin and each time I use this mask I fall in love with how dewy and healthy my skin looks...even my fiancee commented on how glowy I look. After seeing the rave reviews on Instagram, I really really wish this product worked on my normal to dry skin but it did nothing for me, I didn’t see or feel any difference after using it as an overnight mask no matter how thick or thin the application I applied. Used this for the first time today, I put a thick layer over my face and left it for around one hour, I’ve just rubbed the remaining mask in and my skin has literally drunk in all of the goodness. I absolutely adore it - fantastic product! Also, incredible service from Cult Beauty as always. I really love this product. I ordered it for the first time from the US, but now that cultbeauty has it this makes things so much easier. I use it up to 4/5 times a week - a thin layer on a cleansed face. It is very much hydrating, non-sticky or oily. It actually disappears into the skin (no need to dab it off!). I also love to use it under my eyes, when my bags need some extra pampering. You can use it as a primer, but this didn't work so well for me. Actually use this for what it says on the tube!! On arrival in Barbados - first night and then 2 nights after I returned home. It works brilliantly and I would also use it if my skin has been under pressure with late nights, early mornings. I love it. This should come with a hazard warning. Like other reviewers I bought this thinking I would be fine. I use acid peels and my skin isn’t sensitive at all. I can pretty much try anything and can usually be confident I’ll be fine. I put it on and the first few minutes were fine. Then my face got very warm. I looked in the mirror and it was bright red. This looked like sunburn level. My skin feels hydrated, plumped, smell amazing, definitely will repurchase again. What a wonder product in a tube. I use this as both a moisturiser and a mask and it never fails to hydrate my skin! Easily absorbed and lovely to be used even under makeup. Highly recommend! My skin never felt so plump! I used it last night for the first time as a sleeping-mask, and OMG what incredible results! My skin feels hydrated, plumped and almost lifted, as it has never been before. Only issue is that my skin is slightly red but it's not that embarrassing. To me it shows that the product really works. Can't wait to use it for another night! Really enjoy this product when I sleep less hours or even during my "me time" day of the week. My skin looks happy. I really like this product. I've got to use it as overnight mask and in the morning my face looks refreshed and deeply moisturised. I recommended it to my girlfriends and since the first use they are eager to repurchase it. I dont consider myself to have sensitive skin (only recall once before reacting to a new product, and am in my 50's) but this caused my skin to go red after 10 minutes. I washed any residue off and took a couple of Piriton over the course of the day, and the redness abated after a few hours. No further reaction and all fine today. Sadly, don't feel I can repeat the experience despite the good reviews the mask gets from many others. I urge people not to use this, brought and tried and had to go to a&e due to it burning my skin my whole face went bright red and was on fire people save your money! The best 10 minute mask ever! Having suffered from rosacea and dermatitis for the past few years I am always reluctant to add anything new to my skincare routine. I had heard that this mask was great for people with rosacea and the fact that it was a natural ingredients and paraben free was a real plus. I tried this for the first time last year after a long haul flight while away on business. Literally put it on for 10 minutes and the results were instant. My skin felt hydrated, soft and looked so glowy. I have refilled a few times now and keep coming back to this whenever my skin feels like it’s had enough. Truly the best mask ever! I received a small sample with the cult beauty bag, and I loved this product, I think I want to purchase also the other mask of the same line, this hydrates and plump the skin, it is thick in texture so it takes a bit to wash it off, but the skin feels so soft afterward. Lovely however I would prefer to opt for 100% natural masks. This product is amazing! My skin was really dry and irritated from the cold weather and using retinol. When I used this as an overnight mask it got rid of all my dry patches en irritated skin. Thank you Summer Fridays! I absolutely adore this face mask. After the first use, I wasn't particularly blown away by it, until I started using it as a daily moisturiser and my god this product is amazing! The smell is also really nice and feels cooling. I will be stocking up! Now I can't WAIT for R+R to hit Cult! Summer Fridays, how much longer do we have to wait?! I was debating whether I should get this mask or not for months, after I finally got it and used it I can say it’s nice: I have sensitive skin, oily but very dehydrated and can get dry and dull. I also have redness in my cheeks. This Mask feels nice and kinda cooling, doesn’t smell like anything which I like. It left my skin glowing and juicy in a way. Would not buy again but will use it up. I had been considering trying the Jet Lag mask for ages and to my delight, it was part of 'The Founders Good Bag'. I have a few dry patches on my face gradually building up a tolerance to 1% retinol. It's hydrating, plumping yet cooling and calming. I'll definitely be purchasing the full size! This mask is all you can ask for and more! It hydrates and plumps the skin like no other product I've tried (and I've tried many!!!). It also soothes the skin so that any redness is left behind. I've only used as an overnight mask because it always dries so easily that it's a pity to wash it off. The next morning my skin feels amazing and it super plump! Followed instructions to the letter but this mask practically burnt through my skin and left it very red and sore for a while. Never again. I was hesitant about this mask and did wonder if I’d be paying £42 just for the pretty packaging. I started using once a week but it wasn’t until I used back to back I started to notice the changes! I would wake up with noticeably glowing skin! It just looked more fresh and hydrated than usual. If you are sensitive to smell you might not enjoy the toothpaste like smell though... haha. Definitely worth the hype! Really moisturizing without being too oily. My skin has acne and after a month of daily use my acne is almost gone. The occasional redness is not as intense and I can reassure you that it is magic in a tube! My skin soaks it up in one minute and feels drier than before... My regular moisturizer is more hydrating than this mask. This is the third time I purchased the mask from Cult beauty, I am obsessed. I have no more break outs on my skin, even on my 'bad days'! It hydrates my face soo much! Love it! I was so excited to try this! I put a thin layer all over my face which isn't usually sensitive to any new product and after 5 minutes above and under my eyes went super red. I rinsed my face but it continued to burn and go red all over my cheeks. Has been over an hour since I used it, and washed it off however still red. The best thing I've ever put on my face! Totally live up to the hype! Worth the hype, will repurchase. This mask is amazing. I have been using it for a solid month and I feel very pleased about how it heals my skin. I am very dry during the winter which also aggravates my rosacea. This provides moisture and thorough nourishment. It has the slightest minty scent/cooling feeling which calms down my redness and rosacea flashes. Will repurchase when I'm through with this. I am so sad about this but the mask just dried out my skin (I have slightly oily skin in my T-Zone but apart from that I am not dry or acne prone.) It burned my under eyes, my skin isn’t sensitive normally and works well with any new products but oh my god this just gave the opposite of a glow and the red patches under my eyes took ages to go! So disappointed as I was so excited after seeing all the hype! It's good and it works for my skin. Good for travelling (on the plane), and perfect for winter skin as well. Seriously I feel so pampered just using this. I've just bought Pumpkin Spice Mask from Summer Fridays, let's just hope it is as good! I got into the hype and was so excited for this but it dried out my skin so much. My skin feels like sand paper when I leave this on overnight. Under the eyes it burns my skin. Never had this with ‘natural’ products. Definitely not worth this ridiculous price. I would not recommend. I love it!I love it!I love it!I love it! Since I‘ve been using this mask my skin has gotten a more even skin tone, no impurities and generally looks healthy and glowing. Defiantly worth its money! Honestly I don't get this product at all. I've used it couple times now and there is no glow. It's all a hype, use a good moisturiser and face oil to get a nice glow and save your money. This mask is just always a savior for my dry skin! It brightens and gives that subtle glow, so it looks like I have makeup on. Even better, it works wonders under my eyes!! Just the best mask I have ever tried! It really hydrates my face under my makeup, works great applied after I cleanse my face. I love this product!!! It’s so hydrating and the effect actually LASTS which is such a rarity with masks similar to this! It is so versatile as well, and works brilliantly as an overnight mask, used in a thinner layer, or even under the eyes thickly for extra hydration and to help relieve those under eye bags, or used as an all-over mask. I can’t rave about it enough! This is honestly the most amazing product. I put it on at night and leave it there until morning, and my skin has never felt so soft and hydrated. If it helps to convince you how incredible it is, I've only used it twice and have just bought three back-ups. After using their other exfoliating mask and not finding any value in it at all, I then applied this mask as directed. Very ordinary, not worth the very expensive price and the extraordinary hype around this product. I used it as directed, and nothing, there was no deep moisturising, nothing. I then used the mask as an overnight mask. Again, nothing. Woke up with dryer skin than I started. I am utterly disappointed with both this mask and their other mask. This mask is simply over rated and not worth your hard earned money. I have tried a lot of hydrating masks but this one seems a little more special. Thicker than the usual and a bit sticky. It does wonders for dry skin. I used it after I had neglected my skin while unwell for a few day, so I had dry and rough texture and I was dreading how bad my foundation was going to look as a result. I used it after the new SF exfoliating mask, and my skin was glowing as if I’d never been sick! A definite new favourite. It can rescue you when you need it! No issues with sensitivity with either of the SF masks, so don’t be too scared if your skin is easily irritated like mine. I have super sensitive, combination skin which has suffered severe cystic acne. I also travel long haul flights frequently. This mask hydrates, smooths and refreshes my skin instantly. It doesn't cause me to breakout, or any irritation at all. I usually have combination skin but joined the normal/dry skin type for this winter. While this moisturiser reminds me of toothpaste (mainly smell but also a bit of texture) it’s a great night moisturiser or a moisturiser for after a chemical peel. Absorbs well, will repurchase. All I have to say is that the hype is real. My skin LOVES this product and I tend to have dry patches on my chin and as soon as I put the jet lag mask on it'll go away and my skin feels plump and super hydrated almost instantly. Will for sure buy it again. I love this. Makes my face feel fresh and hydrated. Also, you feel it work on your skin immediately. I was so excited to buy this after all the hype on Instagram. Gladly it did NOT disappoint. I love using it as a night mask, it made my dark circles disappear! It's super hydrating and leaves my skin feeling smooth in the morning. Totally worth the hype. Ooohh...really do what it promised. My skin feels so hydrated, soft and looking so glowy after I used this. I have only used this mask a handful of times, although I was extremely excited to finally get my hands on it I’ve found that it really irritates my eyes. I was so excited to hear that I could use it around the eye area, unfortunately, it stings my eyes and causes them to water even when I avoid going near my eyes. I do feel that it is hydrating, but there doesn’t seem to be any major effects worth the irritation it causes to my eyes. I will continue trying it out and if all else fails I will use up the tube on my décolletage. This is truly amazing! It really does moisturise and hydrate the skin, I love to use it under my makeup as a primer to. I want to start off by saying I usually try not to buy into the hype surrounding beauty products because I usually end up feeling underwhelmed. However, this is a really good product; it goes on easily and a little goes a long way. It's comfortable on the skin (LOVE the fact i can be used on the eye area) and after a few minutes it starts to sink in, so you can't really see anything on your face. For this reason I do think it would be ideal for using on a plane, however I prefer to do my masking at home. I tissue the excess mask off after about 20 minutes and notice straight away how soft and hydrated my skin is. From the first use, it left my face feeling fresh and glowing. I would say, if you are on a budget, I am sure there are cheaper alternatives to this that would give you a pretty similar effect. But if you do have a bit of extra money to spend and you want to treat yourself to a nice mask, I don't think you will be disappointed!